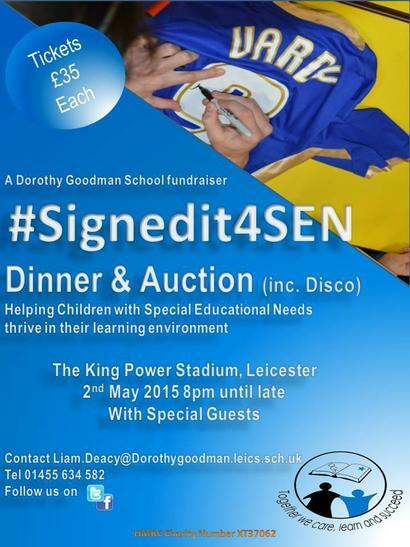 We are pleased to announce we will be holding our school fundraising Dinner and Auction #Signedit4SEN on May 2nd at The King Power Stadium, Leicester. 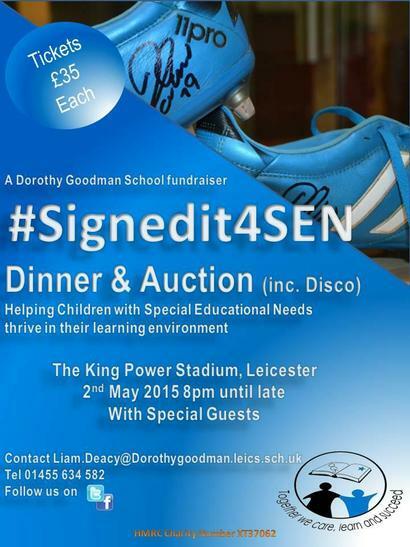 Tickets are £35 per person and include a 3 course meal , live and silent auctions and disco. A special preview of auction prizes will be available on the website shortly. 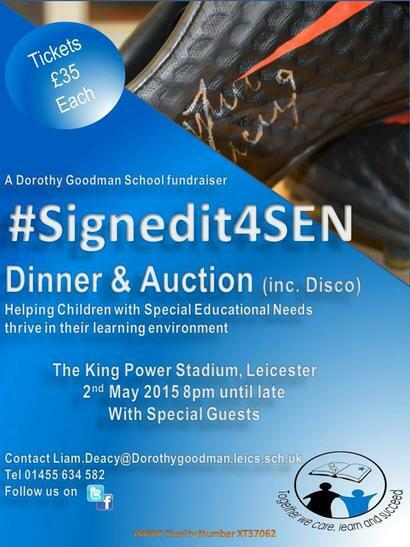 If you are interested in coming along please email Liam.Deacy@dorothygoodman.leics.sch.uk for more information and tickets. 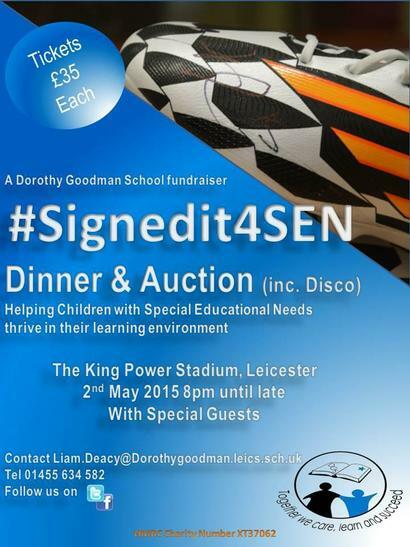 We are also looking for auction and raffle items and business sponsorship. If you can help please let us know.